The Choo Yilin Insider — A Chinese New Year’s Reflection: What's in a Name? Few people know this, but my name in Chinese characters, when translated into English, means "moving towards beautiful jade". My paternal grandfather named me, as he did my brother and all my cousins. In classical Chinese tradition, he named us with identical first characters, such that all the female cousins were named "Yi --".Amongst us females, there is an Yi Rong, Yi Ping and, an Yi Ming. It is just like that amongst the male cousins as well, with each of them being named "Jia --". I remember how he would pore over Chinese characters in a notebook, with kopi (coffee) next to it and his trusty spectacles perched on his nose, where he would attempt to find the most appropriate pairings with “Yi”and “Jia” whenever a new addition of the family was on the way. Family was undisputedly the most important thing in his life, and naming us the way he did was another example of demonstrating that. I’m not certain that he had dreams for me to become a jade designer but what is clear, is that he had high hopes for each of us to become the best versions of ourselves, whilst always wanting us to remember that we were most importantly and clearly, connected; a family. Every Chinese New Year, during our annual family reunions, we reflect on how each of us have evolved and I am struck by how each of these interactions are intertwined with the gifts my grandfather bestowed upon us, that of family ties, cultural tradition, and above all, love. He set the tradition that it was crucial to have all of us, even those of us females who have “married out”, for the reunion dinner; that tradition is still cherished and honoured today. The epic Choo clan card-game sessions are also a part of his legacy, because he was the one to introduce cards to each of his grandchildren, recounting his days as a professional gambler and magician (#truestory). 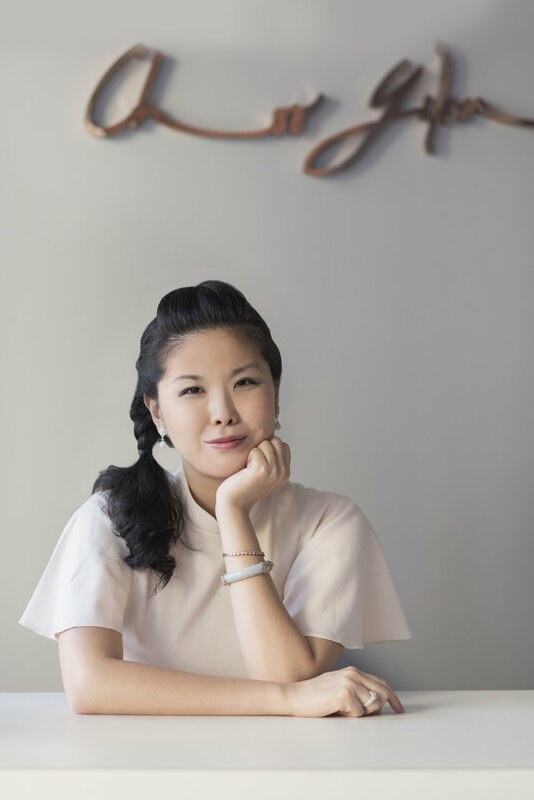 As I reflect on this, I wanted to share that with the Choo Yilin brand, we carry this name to stand for the values of love, heritage, and becoming. I’m thankful to have a work family that shares these values, this zest to tell these stories; and to have found a home with my team. May you usher in the Year of the Dog with your family with similar gifts. To love, heritage, and becoming.